Equipment: GPS navigation, air-condition, DVD, CD, tinted windows, comfortable and positioning seats, belts on all seats, luxury design. All our vehicles comply with the strongest worldwide transport safety standards. 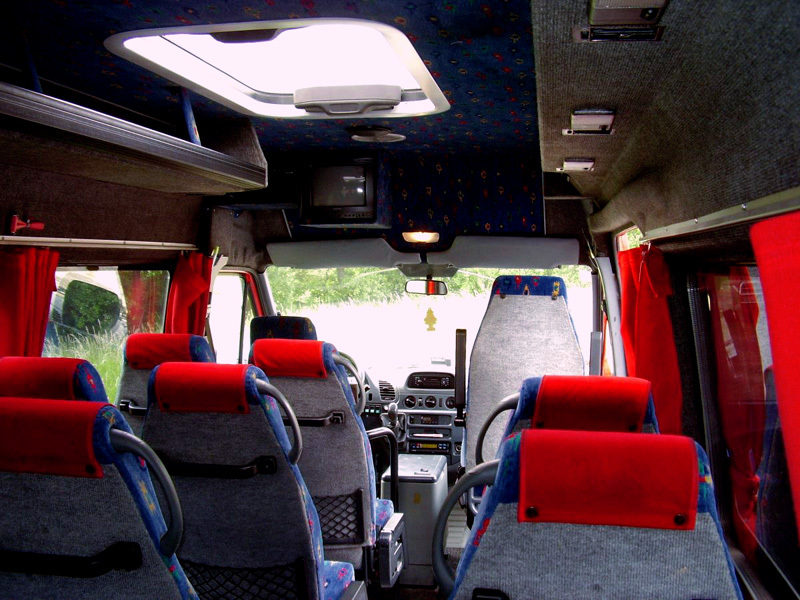 Professional and skilled drivers, luxury coaches and midibuses, experience with travelling all over Europe, full scheduling of optimal route, providing of individual transportation according to your request, providing of all necessary payments connected with transportation, providing of all tourism services. © 2009 VENTO line L.td.